Only one in four million lobsters is blue, a genetic mutation in coloring that makes for an interesting-looking creature. 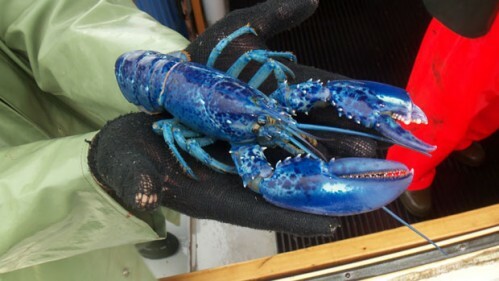 This blue lobster was caught Wednesday off the shores of Prince Edward Island, the only one since 2009. Blair Doucette, the fisherman who nabbed the beauty, says he has never caught a blue lobster in his 30 years of fishing. He is considering donating the lobster to a local aquarium.